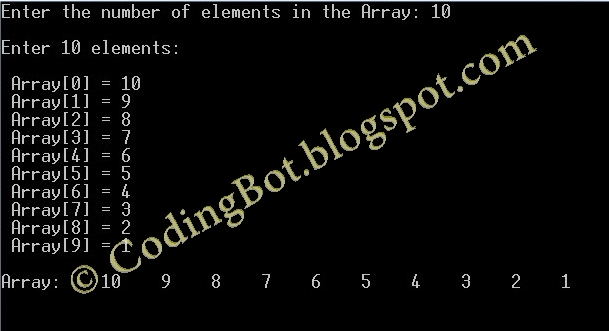 In computer science, an array data structure or simply an array is a data structure consisting of a collection of elements (values or variables), each identified by at least one array index or key. 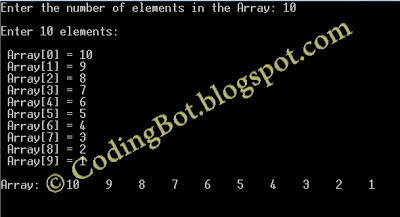 An array is stored so that the position of each element can be computed from its index tuple by a mathematical formula. For example, an array of 10 integer variables, with indices 0 through 9, may be stored as 10 words at memory addresses 2000, 2004, 2008, … 2036, so that the element with index i has the address 2000 + 4 × i. For Example, int Arr; will make an array of type 'int', name 'Arr' and size=25. For a two-dimensional array, the element with indices i,j would have address B + c · i + d · j, where the coefficients c and d are the row and column address increments, respectively. B + c1 · i1 + c2 · i2 + … + ck · ik. 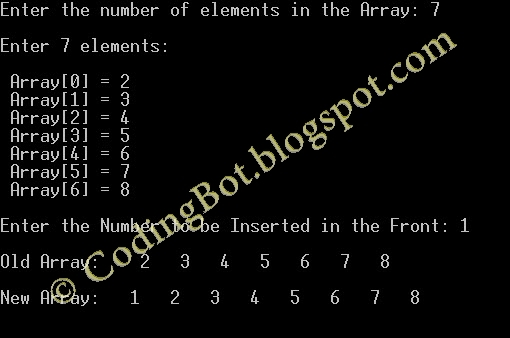 This means that array a has 3 rows and 2 columns, and the array is of integer type. Here we can store 6 elements they are stored linearly but starting from first row linear then continuing with second row. The above array will be stored as a11, a12, a13, a21, a22, a23.